Don’t know much about Bolivia? Join the club. I’ve actually talked to people who thought Bolivia was in Eastern Europe, or the Middle East. If you’re one of those people, don’t feel bad. I mean, it’s not like Bolivia shows up on the world stage very often. 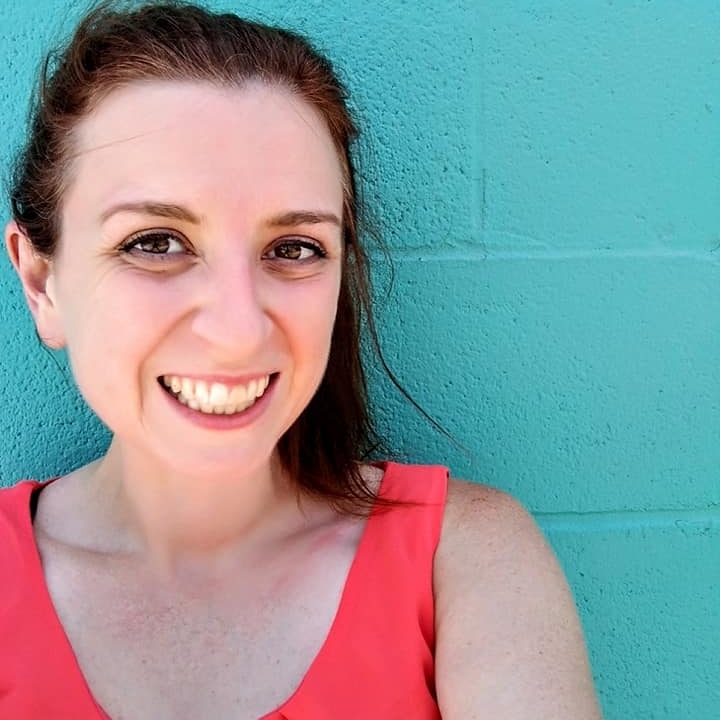 Now, way back, when I was preparing to go on the World Race I had this bright idea that I was going to profile all of the countries we were going to on my blog, in order to give my supporters a little more insight. Ya, I only got one done, and ironically it was for Bolivia. It’s also interesting to me is that specific blog has been viewed more times than any other post I made. Huh. Because that same post is so relevant to my current situation I thought it would be fun to pull it over to give you all a glimpse at what Bolivia is like from the facts and figures standpoint before I get there and start telling you all the real stories…. Name Origin: Bolivia was named after Simon Bolivar, who helped lead the country to independence along with several other South American nations. History– Bolivia was originally settled by the Aymara people 2,000 years ago and later become part of the extensive Incan empire until it was conquered by the Spanish in the 16th century. At this point the land area that is currently Bolivia was considered part of Peru. In 1809 Bolivia declared its independence and since then it has struggled through periods of political instability, dictatorships and economic troubles. Bolivia’s current president, Evo Morales is the first Bolivian President of indigenous (Amerindian) descent. Geography– Bolivia is the world 28th largest country and plays host to many ecological zones, from the Andes Mountains and Altiplano in the west to the lowlands and Amazonian rainforests of the east. 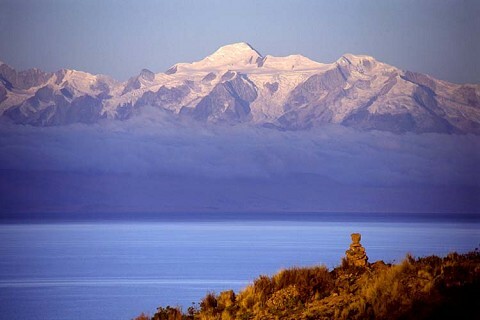 The Andes in Bolivia contain 6 of the world largest mountains (20,000 ft +) and shares the world highest commercial lake, Lake Titicaca (12,500 ft), with Peru. Seasons– Because Bolivia is south of the equator June-September are the winter months where it can get lower than 30 degrees in La Paz. Economy– Bolivia is the poorest and least developed country in South America, but even though the Bolivians struggle they have a tremendous amount of pride. 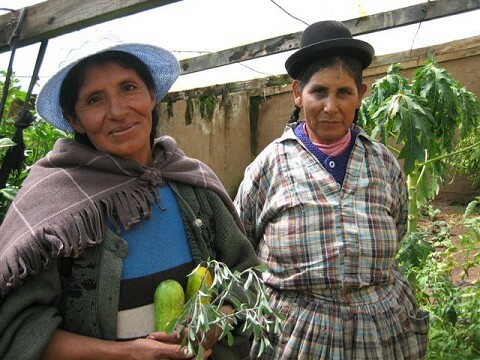 People– Bolivia is tremendously multi-ethnic. More than half the population has a native heritage, while 30% are Mestizo (mixed Amerindian and European) and the remaining population is white. Language– The main spoken language is Spanish, but there are more than 30 official languages including the native languages Aymara and Quechua. Religion– About half of Bolivia’s population considers itself to be Catholic, with the other half split between Baha’i (which has a surprisingly high percentage), protestant, traditional ethnic and other religions. 1. Many of the nations Catholics have held onto traditional pagan practices. Pray that they will come to find living faith in Christ. 2. The number of churches is growing! But there are many challenges for these new churches to face including illiteracy, lack of understanding, apathy and social evils such as violence and alcohol abuse. 3. Many of the Quechua, Aymara and lowland peoples live in hard-to-reach regions. Pray that they will soon receive the gospel. 4. The more than 100,000 college students who have become disillusioned with religion and have instead turned to social evils. I will be living just outside of the city of Cochabamba, which on the map posted above is located just under the second A in La Paz, and is also the 4th largest city in the country. Located in an Andean valley nearly 9,000 ft above sea level, Cochabamba has a temperate climate and is nicknamed the land of eternal spring. A climate I’m excited to take advantage of after spending 2 years in sweaty Thailand. I don’t want to give to much above Cochabamba away yet though, I’ve got to save some info for once I’m there! Categories: Bolivia, Travel | Tags: Bolivia, Cochabamba | Permalink.